In this paper, a nonlinear mathematical model describing the relationship between hepatitis B virus (HBV), the immune response and the drug therapy is studied. Two main equilibrium points (infection-free and endemic) are obtained. The basic reproduction number is also determined and becomes the threshold for equilibrium point stabilities. We show that when the basic reproduction number is less than one, the infection-free equilibrium point is both locally and globally stable whereas when it is greater than one, the system is uniformly persistent i.e. the virus is endemic and the endemic equilibrium point is globally asymptotically stable. The sensitivity analysis is carried out to seek for potential parameters that could reduce overall HBV infection. Further, by using Pontryagin’s minimum principle, the optimal control problem is constructed with two drug therapy controls. Finally, the numerical simulations are established to show the role of these optimal therapies in controlling viral replication and HBV infection. Our results show that the treatment by inhibiting viral production gives more significant result than the treatment by blocking new infection, however the combination of both treatments is the best strategy to reduce overall HBV infection and the concentration of free virus. 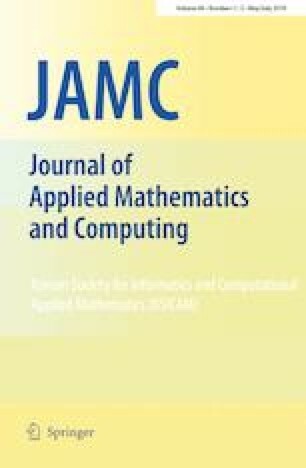 This work has been supported by Department of Mathematics, Faculty of Science, Naresuan University, Thailand. Pensiri Yosyingyong has been funded by DPST scholarship from the Thai government.